Brief Synopsis – A couple living on a secluded island discover a baby in a boat and must decide what to do with it. My Take on it – This is a film that my wife has wanted to see for months ever since she read the novel and she insisted that we see it together. I knew very little about this film beforehand and really enjoyed the way the story was laid out for us. The story moves at a very deliberate slow pace, bt that gives us more of a chance to absorb everything that happens here before the couple is faced with their problem. This essentially helps us understand their plight from both sides of the coin because it keeps things very emotional throughout. As a parent, I was able to easily empathize with both sides of the situation equally which helps keep the questions raised here stay in the view of what is moral or immoral of a thing to do if faced with similar circumstances. 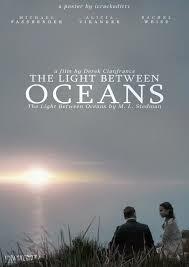 Michael Fassbender, Alica Vikander and Rachel Weisz are all spectacular here and not many will go away from this film without a least getting teary-eyed. My wife claims that they did a wonderful job of adapting this story, but the book packs an even more powerful punch. Bottom Line – Great story that moves at a deliberately slow pace. They give us so much time to understand the situation before we are confronted with their dilemma which gives us enough information to understand their problem. As a parent, I was able to feel for both sides in this film’s narrative. Fassbender, Vikander and Weisz are all superb here. Recommended!